The results of the Rajasthan Assembly election in 2013, along with several other electoral battles, had at the time provided a clear indication that the UPA government at the Centre was on its way out. Not only had the Bharatiya Janata Party ousted the Congress, but had done so with a historic majority in the north-western state. In 2018, when the state votes again for a new Assembly the results will be seen as a popularity test for the NDA government in New Delhi. Since 1998, Rajasthan has alternated between the Congress and the BJP holding the reins of power, due to which the former would fancy its chances. However, this time, the Modi factor and the BJP's overwhelming presence in most of the country may disrupt the trend of the revolving door. Even in 2013, Chief Minister Vasundhara Raje had attributed her party's unprecedented win to Narendra Modi-at a time when he was yet to become the prime minister. This time around, the role of Modi will be even more important. However, recent trends suggest that the BJP may not have an easy time in the election. In the recent local body by-polls in the state, the Congress won a majority of seats. In fact, the Congress won all four wards in the Zilla Parishad by-polls in Banswara, Bhilwara, Jalore and Karauli districts. Except for Karauli, in all the other places, the BJP had won the 2013 Assembly elections. Thus, it appears that a tough contest may be on the cards. 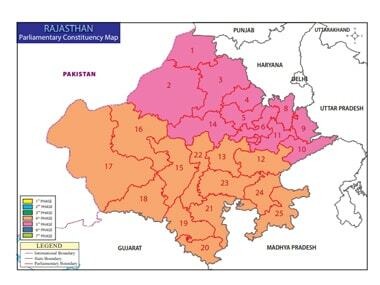 Rajasthan, with a population of 6.86 crores according to the 2011 census, has 200 Assembly constituencies in all. The state has nine regions—Ajmer State, Hadoti, Dhundhar, Gorwar, Shekhawati, Mewar, Marwar, Vagad and Mewat. Jats and Meenas—both comprising about 10 percent of the population—are numerically significant communities in the state. Muslims constitute 9.07 percent of the population. Several of the communities in the state have been antagonistic to each other in the past. For instance, in 2009, the tribal Meena community had resented the demand for reservation of the Gujjars and their demand that they should be included in the Scheduled Tribes category, as this article in Mint states. Similarly, historically, there was antagonism between Jats and Rajputs, due to the latter's feudal past, as this Firstpost article states. In the early decades after independence, Jats gravitated towards the Congress while the Rajputs voted for opposition parties. However, the 'feudal' perception holds relatively lesser influence now, according to the article. The Congress' decision to make Ashok Gehlot—who belongs to the Mali community—the chief minister instead of Jat leader Paras Ram Maderna also did not go down well with the community. In recent elections, their vote has swung both ways, even as the community has largely voted as a block. As mentioned above, Rajasthan has alternatively voted for the Congress and the BJP since 1998. 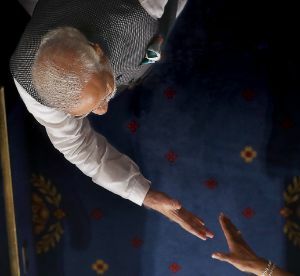 However, the BJP's victory in 2013 was significant not only for the number of seats it won but for the fact that it cornered the highest vote share — 45.17 percent — of a single party since 1998. The Congress received 33.07 percent of the votes in 2013. The Congress had garnered a significantly higher vote share than the BJP in 1998 — 44.95 percent as against 33.23 percent of the saffron party. In the elections in 2008 and 2003, the difference in the vote shares of the two parties was not significant — less than four percentage points. The Congress had dominated the political scene and the vote share in this state until the Emergency, after which a non-Congress government (Janata Party) came to power for the first time. The vote share of the Congress in 1951, 1957, 1962, 1967 and 1972 was 40.32 percent, 45.13 percent, 39.98 percent, 41.79 percent and 52.76 percent respectively. In the recent past, Rajasthan has been in the news for a series of hate crimes and politics of polarisation. The political campaign during the recent bypolls in Alwar also provide a sign of things to come. Recently, the Congress filed a complaint with the Election Commission after BJP Jaswant Yadav told a rally, "If you are a Hindu, vote for the BJP. Muslims will go with the Congress." A Facebook post by BJP MlA from Alwar had on 2 January stated that Muslims are having more children to outnumber Hindus and take over the country. Caste considerations will also weigh heavily on political parties' minds. For instance, the Congress has replaced Bhanwar Jitendra Singh—a Rajput— with Karan Singh Yadav hoping to cash in on the Ahir vote bank, a Firstpost article states. Further, as detailed before, caste identities such as those of Jats, Rajputs and OBCs go a long way towards influencing electoral outcomes. Much like neighbouring Gujarat, farmers' issues may also play a major role in the voting preferences of the rural regions. If agrarian discontent translates to anger against the ruling party, it will worry the BJP. Rajasthan has a 75.13 percent rural population, as against 57.40 percent in Gujarat, according to the 2011 census. After farmers launched a protest in Mandsaur in Madhya Pradesh, the agitation soon spread to Rajasthan as farmers sought, among other things, higher minimum support price and loan waivers. However, the state government in September announced a Rs 60,000 crore farm loan waiver, which may douse some of the anger. Much like Gujarat, Rajasthan too has been a largely bipartisan state in the recent past, with the BJP and Congress dominating the political scene. While the BJP is banking on Vasundhara Raje to retain the faith of the voters, the Congress is hoping that Ashok Gehlot will help the party shore up its fortunes. Raje has gained accolades in the past for improving the economic environment of the state. A report by the World Bank had in 2015 placed Rajasthan in the upper league of 'aspiring leaders.' However, she has faced criticism for an ordinance protecting bureaucrats and judges from being scrutinised for any on duty-action, and allegations of backing Lalit Modi. The government's decision of continuing with a controversial mining lease in the Aravali hills, despite the party's vociferous criticism of it earlier, had also dented Raje's image. In the run-up to the 2013 Assembly elections, the BJP had released a 'black paper' alleging that the company to which the lease was given was close to the Congress. However, after it came to power, the government filed an affidavit in the Rajasthan High Court justified the lease and argued against its cancellation. She has also faced criticism for failing to contain farm distress. To illustrate, a report by Scroll states that even the region of Alwar has seen farmer suicides in the recent past, although farmer suicides had not been reported there earlier. Farmers were reported to have been disappointed with her personally as she went to Japan to seek the country's participation in a business summit at a time when the assembly was in session and farms had been ravaged by hailstorms. However, as Raje has been part of the BJP fold since its early days and has twice been chief minister, she might find herself to remain the trusted face of the party. Gulab Chand Kataria, who first became an MLA in 1977, is a BJP veteran who is also an important face for the party. 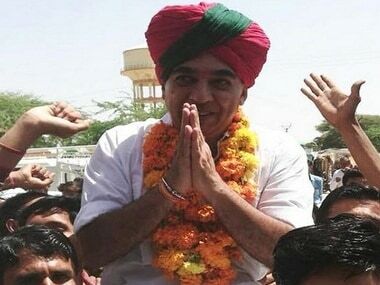 He has earlier served as the general secretary of the BJP in Rajasthan on two occasions, as also the party president in the state on one occasion. as he holds the position of the home minister in the state, he has also faced criticism for the condition of law and order there. Following a series of incidents of cow vigilantism, he was slammed for saying that people who kill cows are as much to blame as vigilantes, a statement that was seen as condoning violence. As mentioned earlier, the appointment of Gehlot as chief minister had angered the Jats in the past. However, his political capital in the Congress may have risen due to the party's improved show in Gujarat, where he was the party's campaign chief. 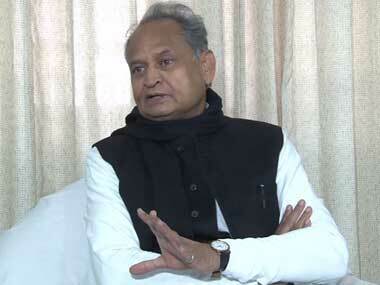 Gehlot has faced public anger in the past over allegedly favouring his relatives in allocating sandstone mines in Jodhpur, as mentioned in this Tehelka report. He was accused of doing so by bending eligibility criteria and violating the mining policy. Gehlot may also face a tough time during the election campaign over accusations of favouritism towards Robert Vadra, Sonia Gandhi's son-in-law. Reports stated that Vadra's firms bought 20 plots in Bikaner district shortly after Gehlot came to power, after which land prices shot up 40 times. For Sachin Pilot, the by-polls in Alwar and Ajmer will be a major test. As Ajmer is his home turf, a loss here would mean a personal setback, in addition to a political one. Pilot enjoys a clean personal image, and has had electoral success in 2014, when the Congress won three out of four assembly by-polls after he was made the state's party chief. However, as the son of Congress leader Rajesh Pilot, he will have to defend himself against allegations that he is a dynast. 1BJP, Congress face tough contest in Rajasthan election: Will state break trend of showing incumbents the door?